I have some more Whimsie Doodles sweetness to share with you as Guest Artist. The digital stamps in the November release Santa and Friends Collection are just so darn cute. If you have seen any of my previous posts you would already have met Santa and Snowbuddy. I would now like to introduce you to GIngerbread man!! He looks good enough to eat! The sentiment is from Whimsie Doodles Santa Sentiments. 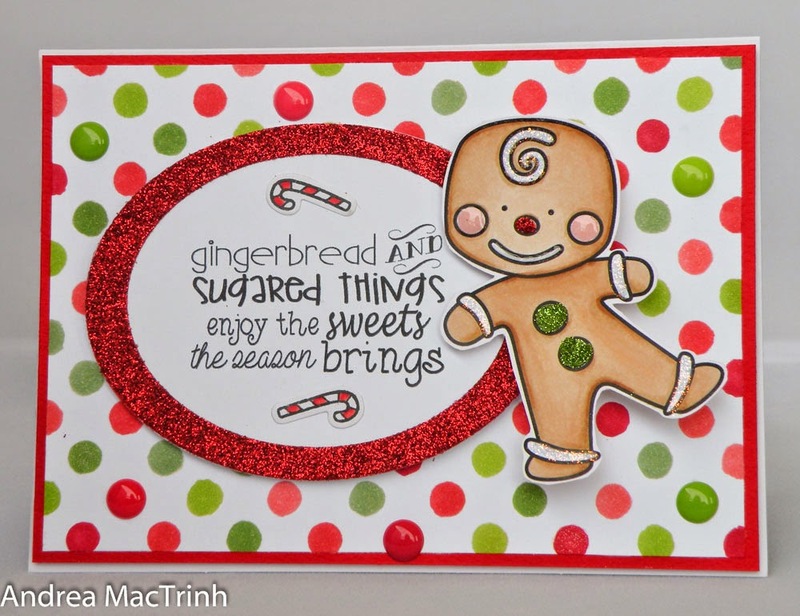 The background was created using Simon Says Stencil medium dots and a variety of red and green copic markers. A few Doodlebug Sprinkles were also added. This panel was then mounted on red card. Oval die-cuts were used to create the frame for the sentiment. 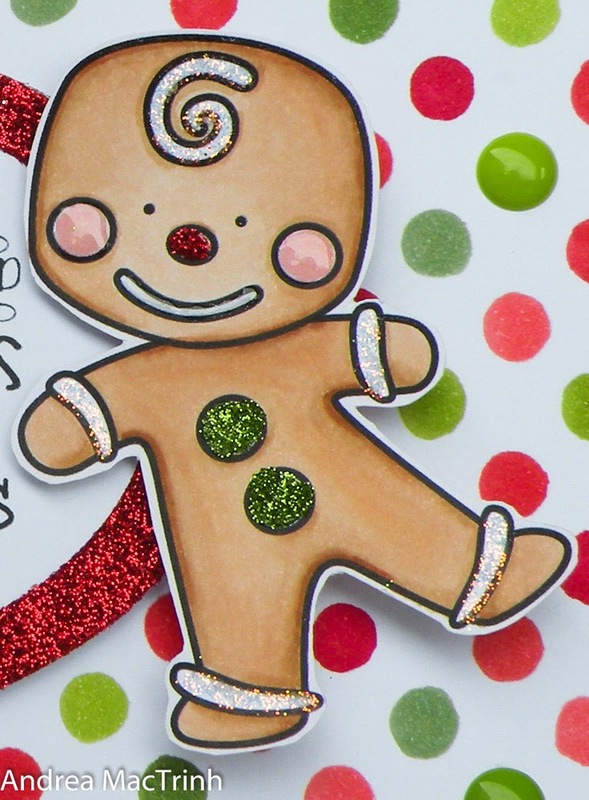 Mr Gingerbread was coloured using copics. His mouth and cheeks were accentuated using Glossy accents. His nose and buttons are a combination of glossy accents and ultrafine glitter, while Rangers Stickles was used for his other sparkly bits! I might head off now and make a non-christmas card - think its something to do with the 40C degree heat outside! Thanks for looking and I hope to see you again soon. What a SUPER cute card, Andrea. Thanks SO MUCH for stopping by to share with us, and please join us again soon. I look forward to seeing more of your wonderful art. Gorgeous card. Love the added glossy accents. Awesome job on coloring the image.